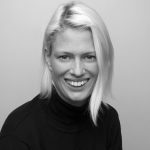 Cilla Jelf is a Full-Stack Developer at BootstrapLabs, a leading venture capital firm, based in Silicon Valley and focused on Applied Artificial Intelligence. Cilla is responsible for developing BootstrapLabs’ web and mobile applications, and for the communication with and support of all application users and stakeholders. Before joining BootstrapLabs, Cilla co-founded PIPE which provides an online service to help companies find new customers efficiently, and Catchfly, an app helping actors accelerate their careers by promoting their experience more impactfully and facilitating communication with casting directors. In her previous life, she was an actor and stage director in Sweden before moving to San Francisco where she co-founded her first startup. After several years as a non-technical founder, she found a new passion for developing apps and thaught herself how to code. Cilla graduated from the University of Lund, in Sweden, with a Bachelor of Fine Arts.